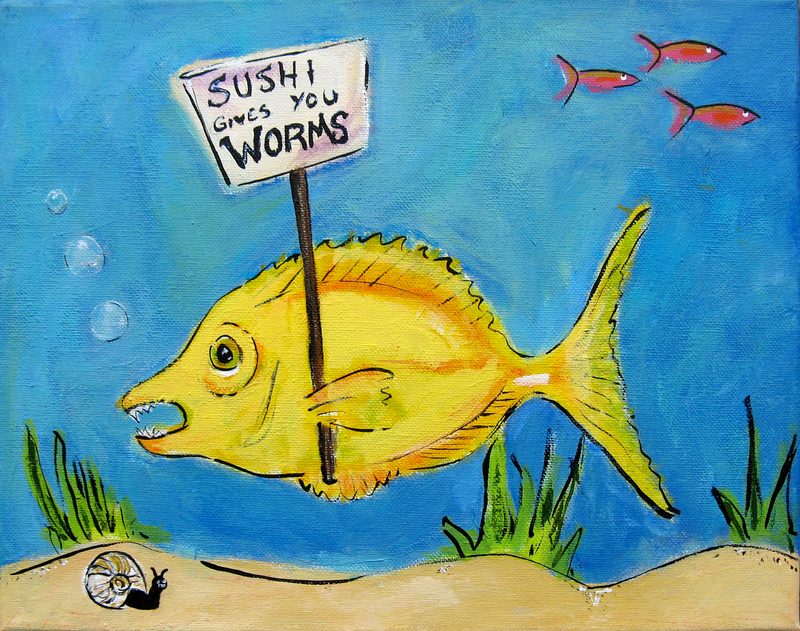 Published February 3, 2015 at 1200 × 947 in Sushi Gives You Worms! Acrylic paint on 14″ x 11″ shallow (.75″) gallery wrapped canvas . SOLD. Acrylic paint on 14″ x 11″ shallow (.75″) gallery wrapped canvas .